This research is based in Enkanini, an informal settlement near Stellenbosch, South Africa, where water samples were collected and analysed during the wet winter seasons of 2016 and 2017. To investigate how stormwater runoff quality (chemical and microbiological) in an informal settlement is influenced by anthropogenic and environmental factors. One of the biggest global health problems today is that posed by urban conditions, most significantly in developing countries, where informal settlements are prevalent. Within informal settlements, the lack of infrastructure including sanitation and sewage facilities, can generate serious problems for health and the environment. Contaminated water is one such problem which can lead to major health issues, most significantly diarrhoea and diarrhoeal diseases, with 1.7bn cases of diarrhoeal disease every year where 88% of these cases are the result of water contamination. Stormwater runoff is a major influence in water pollution as it impacts the mobilisation and transport of pathogens and chemicals and it is necessary to understand the processes and characteristics of runoff to mitigate the risks from it. 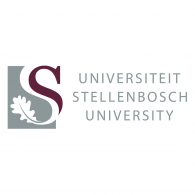 The study investigates how stormwater runoff quality and quantity, in an informal settlements is influenced by anthropogenic and environmental factors and to understand the links between hydrology, geochemistry and microbiology in a peri-urban informal settlement. This research is based in Enkanini, an informal settlement near Stellenbosch, South Africa, where water samples were collected and analysed during the wet winter seasons of 2016 and 2017. Sample site selection was based upon catchment analysis using DEM data to determine the most suitable and key locations. 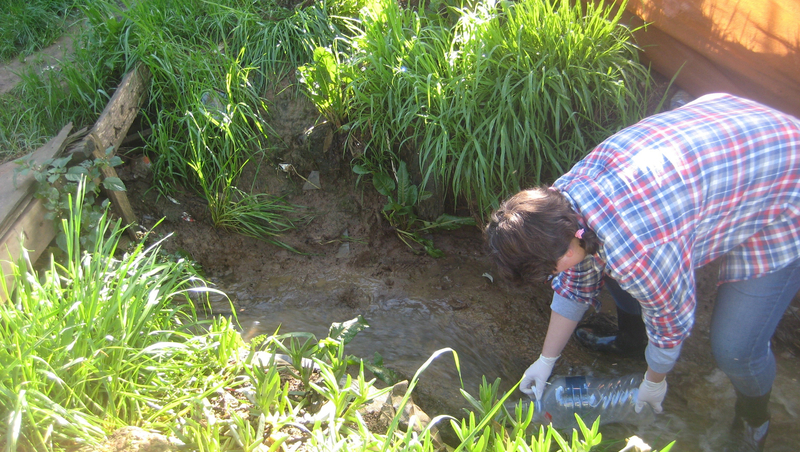 Data collection within Enkanini comprised of two methodology sections for water quality (geochemical and microbiological components) and water quantity (hydrological component). This project aims to fill the knowledge gap that exists regarding stormwater runoff in informal settlements. Whilst significant research has occurred on runoff in urban and rural areas, research on runoff in slums and informal settlements is lacking. An understanding of stormwater runoff in informal settlements is the new science which this project will deliver. In order to mitigate the detrimental impacts that runoff has within these areas and the surrounding environments, it is important to have a full understanding of the processes and characteristics which influence it. The output from this project will be framework of how to develop a risk map to apply to other informal settlements which can then be used as a tool for mitigation implementation. The scientific outputs achieved so far include one paper as a second author and some conferences, throughout the three years, with an upcoming presentation at the British Hydrological Society Conference in September 2018. The future aim is to publish papers as part of this thesis. This project is important for society because of the significant and detrimental influence that the pollutants within stormwater runoff can have upon health and the environment. On an immediate local scale it is hoped that this project will be used for the implementation of mitigation and management strategies to deal with stormwater runoff within Enkanini informal settlement in Stellenbosch. On a broader scale, the data collected in Enkanini and the subsequent results from this will be used to then develop a framework for producing a risk map for informal settlements globally. This framework aims to enable risk maps to be developed for other informal settlements, to identify the areas which are most at risk from pollution and detect the areas where mitigation should be focussed to reduce the damaging impacts from runoff. This PhD project is supervised by Dr Lee Bryant from the Department of Architecture & Civil Engineering.